Today I went to my school for the Independence day celebration for the first time.I and a few of my friends reached the school.I went to my class and we played for some time. Then Vani mam told us to go to the playground. At the playground, it was hot and many teachers and students were present. First, there were some chairs in the shade. I went and sat there.Then the teachers told us that those chairs were meant for them.I went and stood with some of my old friends in the sand in the shade.Everybody was getting ready for the parade.The parade had the Ramanujan house in the first,the Rembrant house in the second,the Einstein house in the third and the Da Vinci house in the fourth position.The parade finished and Mrs. Sheela Prasad hoisted the National flag. The Cultural Program started there after. 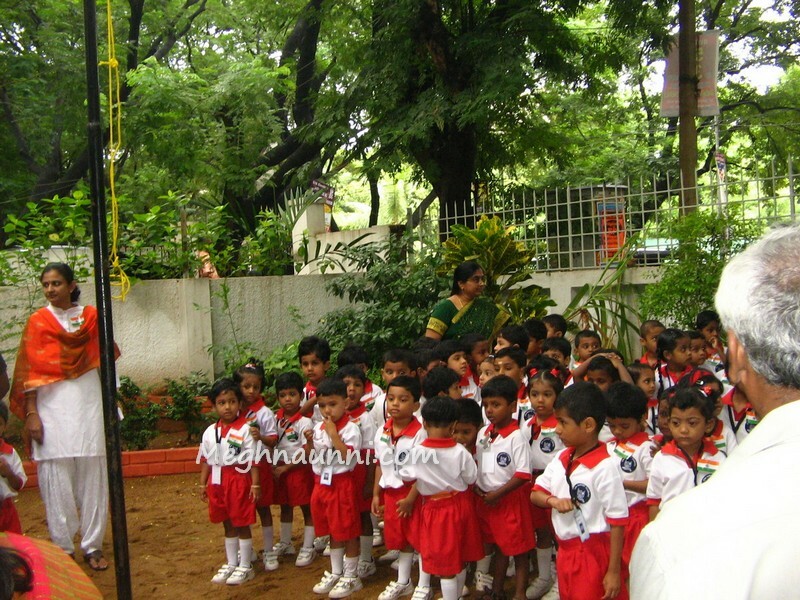 A higher class girl was the first performer.She did a solo performance.Next was a dance.Next was the Ayanambakkam campus students’ play.The program was full of dances and plays.The songs were all Vande Mataram and Saare Jahaan Se Acha songs.Everyone wore the Tri-colour clothes,orange,white,green and blue. I enjoyed every part of the program. At the last,as usual,we sang the National Anthem.